We are following on from our previous look at what data feed optimization is and why it is done. Here we outline 5 of the most common ways that users can easily optimize their product data feeds within a product feed management platform like WakeupData. By making additions to your titles you can ensure that they are value-rich: filled with keywords and eye-catching factors like brand, size and color, which will draw your audience's attention. 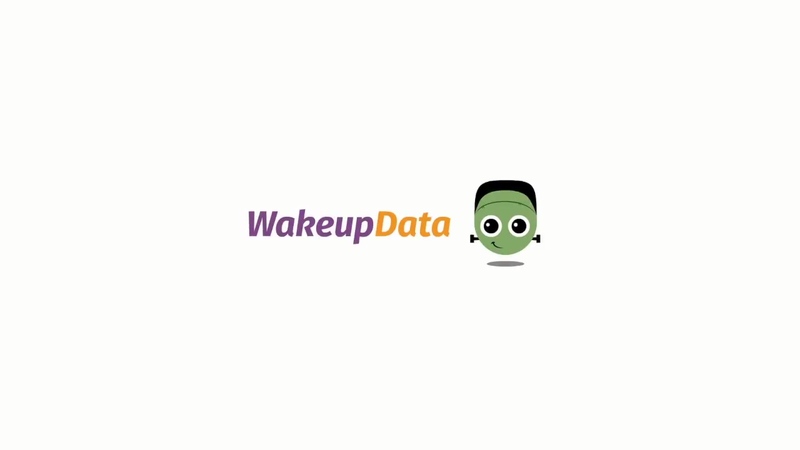 Within WakeupData's Expression Engine there are over 50 different functions which can be used to easily add value to your feeds. The tutorial below shows a simple expression which combines fields to add extra factors to your titles. You can tailor your optimization of titles depending on the sales channel. 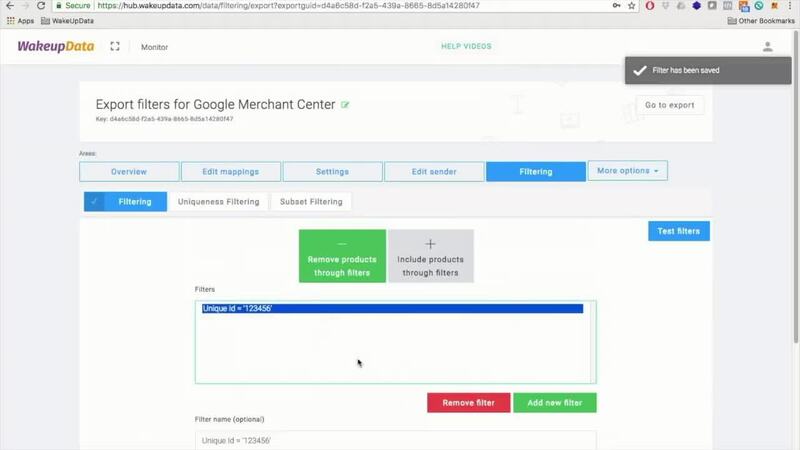 See our video for how Google Shopping recommends you structure those product titles to give the best clicks and ROI. By optimizing Kaufmann's product feed titles and descriptions for Google Shopping, we were able to deliver a 71% increase to their online sales efforts. It's not just about adding different attributes to add value to your product feeds though. Removing and replacing text to produce 'Clean' feeds is a way of adding consistency across all your listings. In this example you can see how easy it is to remove HTML text or other irrelevant information. Clean text will tell the viewer exactly what they want to see - and avoid damaging your brand image with sloppy or messy-looking titles being listed on your sales channels. One thing that definitely should not be overlooked when it comes to optimizing your data is your product titles. Depending on the sales channel, adding certain factors like brand, logo, borders, pricing and seasonal promotions to images can lead to significant improvements in your online performance. Image optimization is particularly relevant in social media advertising, where visuals play a key role. You have on average 1.7 seconds to capture a users attention, so ensuring you images are engaging and eye-catching makes sense. A client who implemented Image Transformation for their Facebook Dynamic Product ads saw a 15% increase in clicks and a 113% increase in ROAS over a 12-month period. Filtering, as the name suggests, lets you include or exclude certain products from your data feeds. This can be based on factors like product IDs, brand or stock level. Although you are not optimizing individual product listings, by narrowing the size of your export feeds you are making them more agile. In a client case, we were able to optimize Quickparts feeds through product filtering. As they had a lot of duplicates in their initial feed imports, we were able to remove irrelevant and repeated listings. We narrowed their 200 000+ listed products to just 5100. This gave more agile feeds that perform better, and meant Quickparts paid for only 1 ad instead of 20. A big value gain lies within bidding differently based on how popular the given items are in the online store. This means stores can prioritize those items within a brand or product category that are the high flyers, whilst downscale those which are not getting the users attention. A solution comes by merging recommendation data from tools like Raptor Smart Advisor or Clerk.io on top of your product feed. These tools analyse your online store and assess which products match your customers search and browsing behaviors. We can then merge this recommendation data with your feed and automatically score each item based on its popularity with particular audiences. So this means you automatically showcase your most popular products where you want them with always up to date and in stock products. It means that PPC marketers can bid differently based on different product listings based on their popularity. There are many more ways in which data feed management tools can add value to product feeds for digital marketers and online store owners. For more info, you can check out our resources section, where we outline Client Cases, more explanatory videos and e-book downloads. Talk to us today if you have any questions, or get your free, 14-day trial via the link below.